The 76th Anniversary of the NSS is being celebrated in June, not July, of 2017, just beyond and west of the Rio Grande, with the awesome Sandia Mountains (and a watermelon-shade at sunset) rising >10,600 feet to the east above the high desert floor. 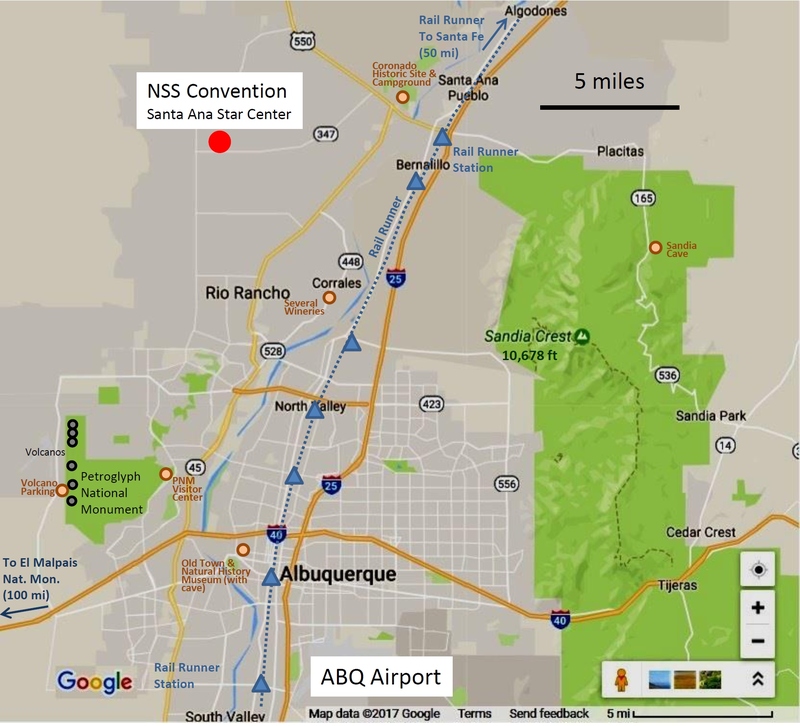 Rio Rancho, home of the Santa Ana Star Center, is our location for the 2017 NSS Convention. It is a thriving community, the third largest in the state with a population of over 90,000, and lies just north of New Mexico’s largest city, Albuquerque. At first, we thought that we could welcome cavers with a hot-air balloon, but that would be too expected. 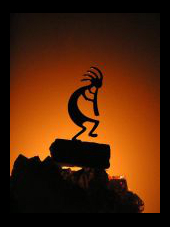 Instead, following an official speech or two, as the sun rises over the Sandia Mountains early on Monday morning, June 19, our 2017 NSS Convention will open with an astonishing blessing and offering by Zia Pueblo members. 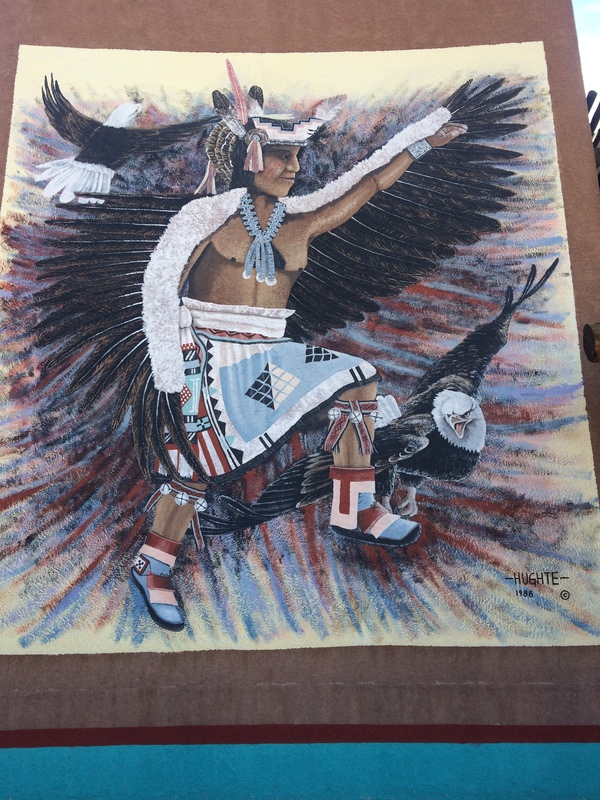 The Pueblo’s talented Toya family will present an incredible Eagle Dance accompanied by drum, flutes and chanting—an experience many New Mexicans have never observed. Our theme, Red or Green 2017, besides rhyming, is likely going to cause bewilderment. Red or Green? is New Mexico’s official state question. Whenever we walk into a New Mexican restaurant, we are asked this question. It refers to which taste of New Mexico chile a customer prefers. We figured cavers coming to New Mexico should be prepared. If the customer doesn’t know the answer, he or she can answer, “Christmas,” which is both flavors of chile. However, the best tactic is to ask which is hottest or mildest for the day. A vigorous generation of cavers has been eager to pursue another convention on our home territory. 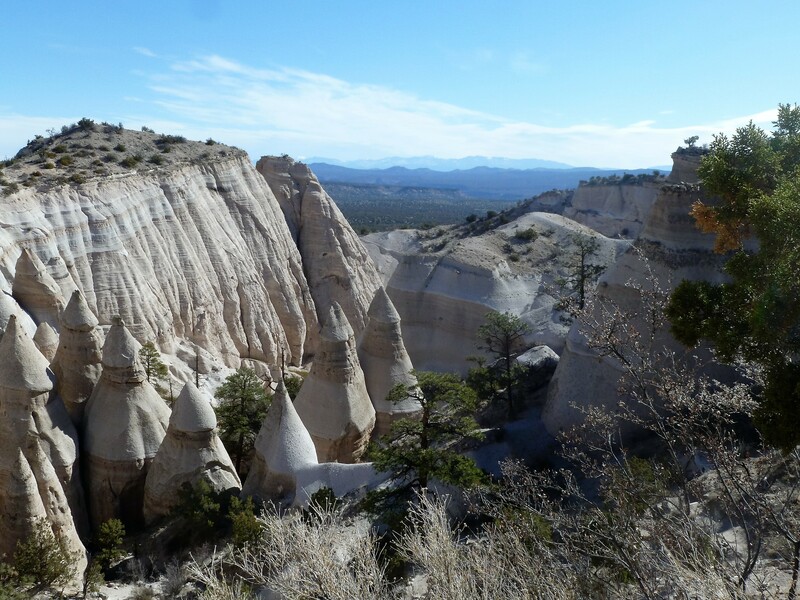 New Mexico caving country contains not only the tremendous limestone caves of the Guadalupe Mountains that many are familiar with. Other extraordinary caves and karst display rare, diverse qualities in character that we hope to share with cavers from near and far. In bygone years, guest cavers from the former Soviet Union, Italy, France and South Africa have seen our world-class lava tubes and ice caves in El Malpais National Monument and shared caver goodwill in our gypsum wonders. A shelter alcove at El Morro National Monument exhibits early graffiti, a 1605 signature of Don Juan Oñate, who escorted the first Spanish settlers to our state. We anxiously await the opportunity to present cavers the array of New Mexico’s cave and karst qualities as well as its natural history. After investigating needs and requirements for a convention, the Sandia Grotto narrowed its sites to a terrific space at the Santa Ana Star Center in Rio Rancho. Members of the Southwestern Region joined us in a partnership to host this 2017 New Mexico NSS Convention. Some folks don’t recognize New Mexico as being one of the 50 states. They think they need a passport to visit or an airmail stamp on a letter. It was one of the last in our country to become a state in 1912, just a few months before Arizona. Some citizens of the U.S. either don’t know their geography or U.S. history or may not listen when we say, “New Mexico.” The Mexican border is about 300 miles south of Albuquerque with many illustrious New Mexican towns and ghost towns surrounding us. We hope cavers will explore many of these intriguing spots along their journeys to and from the 2017 New Mexico NSS Convention. Therefore, we hope to give you a Passport to New Mexico when you arrive in order to join us for a rare opportunity to find the lost state and travel between worlds. Only in New Mexico can people journey from ancient cities lost in time to a bustling spaceport, from white sands to badlands, from traditions rooted in the past to technologies geared to the future. Visitors don’t want to miss a chance to stamp their passport to adventure. BEWARE of the Sun. SAVE your SKIN. Bring shade that can be staked down secure of summer breezes. Stay inside or up in the forest during the day – it will be too hot to be hanging around camp. Summer temperatures cool off by 6 p.m. with temperatures dropping as much as 30°. The air is dry, not humid. If you are out in the sun during the day, wear a wide-brimmed hat, use minimally SPF 30 sunscreen and apply often, and wear light clothing that covers the skin. Avoid consuming too much alcohol in the sun; instead, Drink LOTS of WATER. Bring a hammer or mallet and use heavy-duty tent stakes or screwdrivers to secure tents. DO NOT forget to stake your tent in place. 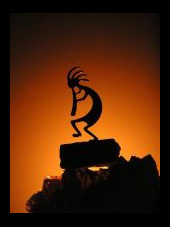 Be aware of crawly critters – this is the desert. Lastly, listen for the pleasurable sound of howling coyotes off in the foothills. Saturday, June 17, 2017 at 12pm. Contact Meg Fleming for details.